I’ve opted for a relatively simple style for the Ask Leo! On Business web site. My focus is on the written word, so each article is just that: words. However, the use of images is becoming more and more important to grabbing attention and providing a level of visual appeal beyond bare text. My approach here is to use a single image at the top of each page that somehow relates to the theme of the article, superimposed with the title. Images are important, but as with anything, there are pros and cons. Perhaps more importantly, there are also potential pitfalls and even legal issues that you need to be aware of before throwing just any old picture on your web site. The web has become a media-rich environment. As a result, people have come to expect some amount of visual accompaniment to most content. Reading on a screen can be more difficult than reading a paper book or magazine, and well-themed accompanying visuals can make the screen experience more palatable, both by augmenting the text and providing visual interest to what otherwise might be a dull, text-only presentation. Even a single image can be a quick way to grab someone’s attention, while also showing at an abstract level what your article is about. Very often, the right image can clarify key concepts for a large portion of your audience. At the more practical level, images play particularly well in social media. Images are thought not only to get preferential treatment at sites like Facebook, but they also tend to get more attention by users of the service. Put simply, an image is just more likely to catch someone’s eye than just plain old text. That doesn’t mean you should start littering your copy with cute cat pictures. Image must support the text. If they don’t, don’t use them. At a minimum, accompanying images should complement the text by being simple examples or reminders of important points in your article. At their best, images can expand or clarify your text in such a way that more of your audience (some would say the more visually oriented) grasp your ideas. Again, if your images can’t meet those requirements, they’re not appropriate to include. Even when they do, it’s worth thinking twice. Adding images makes your page load slower. Each picture increases the amount of data downloaded for each page. Even a single image can often be larger than the entire text of a common web page. The web page hosting this article might be one example: the image at the top is a significantly larger download than all of the text that follows. The more images you add, the slower your web page downloads. Page speed matters for two reasons: user experience and search engines. I’m sure you’ve experienced sites that have perhaps hundreds of images, often in advertisements, and I’m also sure it wasn’t a pleasant experience. You want visitors to walk away feeling good about having visited your page, and making them wait for it to load doesn’t help. Search engines care about speed as well; it’s another of those “200 ranking factors” I’ve talked about before. All else being equal1, the faster website wins. In reality, they choose this as a ranking factor because of its impact on user experience – so it all comes back to the experience someone has when they visit your site. Use images to add value. If it doesn’t add value, don’t add images. Here on Ask Leo! On Business, that means I’m typically at one of two extremes: no images, other than the heading image, or a sequence of screen shots that augment a written description of a process I’m walking you through. This isn’t really about what style or approach to images you should use – that will vary too much based on exactly what it is you’re writing about. This is more about where images come from. Images you own is easy: if it’s a photograph you took, fantastic. If it’s a drawing or illustration you’ve made yourself2, once again, that’s yours do with as you will. In both cases, simply make sure it’s of high enough quality, and appropriate to your context, and you’ll be fine. 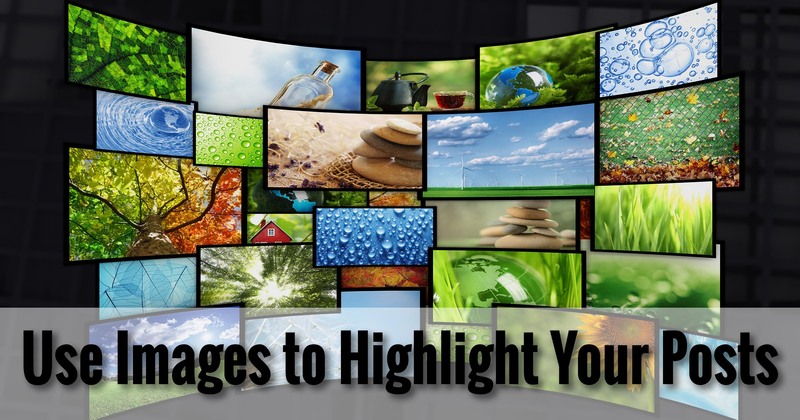 Images that you have rights to is slightly more complex, as it turns into several separate buckets. If you’re using someone else’s work, get their permission to use it, ideally in writing. Stock photo services (I use several) are often set up specifically for the types of illustrative augmentation we’re discussing here. There are both free and paid, with varying breadth of selection and quality, as well as requirements on how the images may or may not be used, and whether or not, and how, they must be attributed. Examples might include Adobe Stock Photos, Getty Images, iStockPhoto, and more. This article on Medium also lists several free stock photo sources, but as always, pay careful attention to the terms of allowed use: These 39 Sites Have Amazing Stock Photos You Can Use For Free. There are several different Creative Commons licenses people often assign to images they provide. Be careful to understand the restrictions (commercial or non-commercial use is the first thing I have to look for, for example), and the attribution requirements of the specific license used. Flickr has a good Creative Commons search for images hosted there, and Google Image Search also has an advanced option that allows you to search for images with specific licensing. This is very simple: don’t use any image you don’t have the rights to use. It could get you into trouble. Specifically, that means you may not use any image you randomly find on the internet, which is something I see too many people doing. Just because it’s published on the internet does not mean that you can copy or use it. It may be very tempting to do a Google image search for the topic you’re writing about, and then pick the finest example on the results page. Resist that temptation. There’s a very high likelihood that doing so will be copyright infringement, and actually against the law. Use the approaches I outlined above instead. 1: Which never ever happens, so don’t get too hung up on this. Speed’s important, but it’s just one of those 200 factors. 2: One example: I often use Microsoft Visio for simple explanatory computer diagrams on Ask Leo! 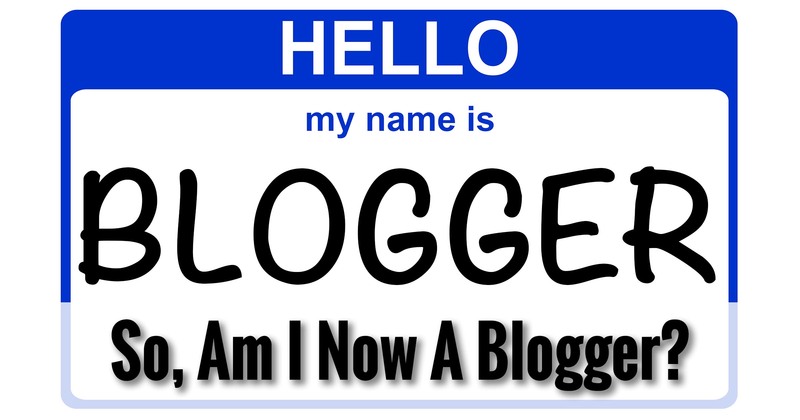 So, Am I Now A Blogger? 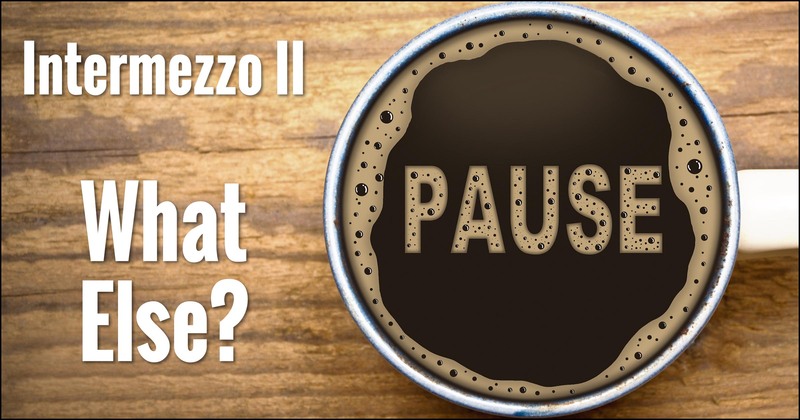 Next Post: Intermezzo II – What Else? Ah, that crazy copyright on public web sites. Even though you state that you’re not a lawyer, if you’re only using a LINK to an image on the internet, you’re not really copying it, are you ? You are providing a pointer to a place where its owner has chosen to make it publicly visible. Suppose a museum has a freely accessible gallery of art paintings, where they show paintings of a well-known contemporary artist exposing his work. He detains all the rights to those paintings, and has just given a permission to the museum to show his work at this gallery. that phrase by itself can hardly be seen as a copyright infringement of the artist, right ? I’m only TELLING MY READER where to go and look. Of course it is a different matter if I go in the gallery, take a picture myself of the artwork, and make that picture myself available. Then I made a copy. But if I’m only saying *where to look for it* and that place itself is a legal place, freely accessible as decided by the legal owner or his licensee, then I don’t see how the instructions to others to “go and look there” could ever be a copyright infringement. Now, lawyers, judges, and lawmakers hating logic (as it destroys the aim of their system), I’m sure they talk themselves out of this, but on the purely logical level, telling someone where to look for a publicly and freely accessible copyrighted image cannot be an infringement, unless it is forbidden to say “at the Louvre, there’s a the Gioconda on the first floor, hall 17”. Linking to a photo has other issues. It’s not technically illegal, but it’s using someone else’s bandwidth and server resources to display a photo for YOUR use. That’s typically at least against terms of services somewhere and could get you (and your visitors) blocked from seeing the photo that way as well. My wife had this happen when a competitor store to hers linked to an image on our site for display on their site. We replaced the image with an advertisement for our store. Moral: be careful what you link to. I want to use a superb photo of a French town on our new website. It was given to us as a print by the French town council, but I presume this gift does not give us the right to use it on the website. I have approached the council for permission (reply still awaited), but it is as yet unclear who has the copyright – they or the photographer (I suspect the latter so will need their details). To confuse matters further, I have seen the photo on the website of a major French media organisation, and on it they claim copyright (2013), yet the print gift to us was made in 2012 (I have dated photos showing the presentation) and the photo itself is electronically dated 2009. Am still trying to sort all this out – don’t want problems with corporate lawyers, but I suspect they wrongly claimed copyright (maybe included it in a batch in error). Assuming council and their photographer get me nowhere it may be more sensible to ask permission from media giant than fight them (or chance it!). I wouldn’t bother if the photo wasn’t so great – it will really have (relevant) impact, so is worth fighting for. Thanks Leo, ‘On Business’ has been an excellent (as always) and timely series for me.